Earn $3.54 in VIP credit (354 points)What's This? Any time is a good time for this nutrient-dense Vegan Protein bar. Vegans and omnivores alike take pleasure in meeting their protein needs with these delicious bars. 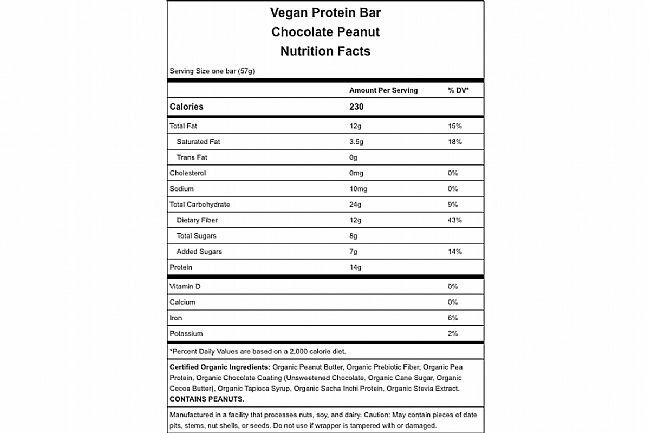 While Chocolate Peanut is smooth and sweet (sometimes compared to vegan peanut butter cups! ), Almond Cacao is subtly roasted with just a touch of salt. Both flavors offer a potent blend of healthy plant-based proteins from Sacha Inchi, pea, and pumpkin. 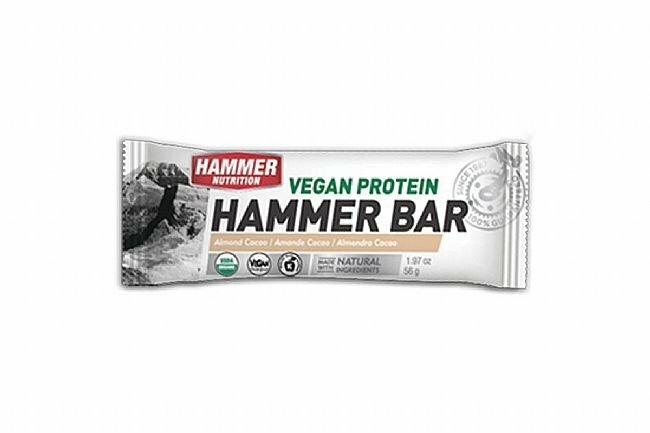 Just like standard Hammer Bars, they’re as healthful as you can get: vegan, non-GMO, and soy-, gluten- and grain-free. We love everything about our Vegan Protein bars! 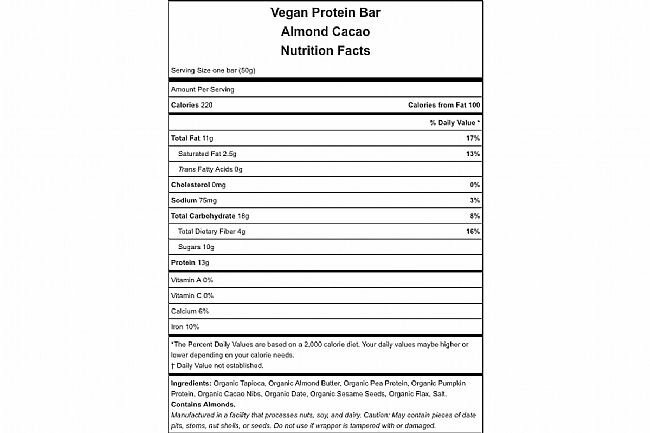 Each box includes 12 individually wrapped Vegan Protein Bars of the selected flavor. Available flavors: Almond Cacao, and Chocolate Peanut.